It’s not easy to find an eCommerce site that excels in every aspect of the shopping experience, which is why ASOS is such a diamond in the rough. The British online-only retailer burst onto the scene in June of 2000, and quickly gained international popularity when they began shipping world-wide in 2006. 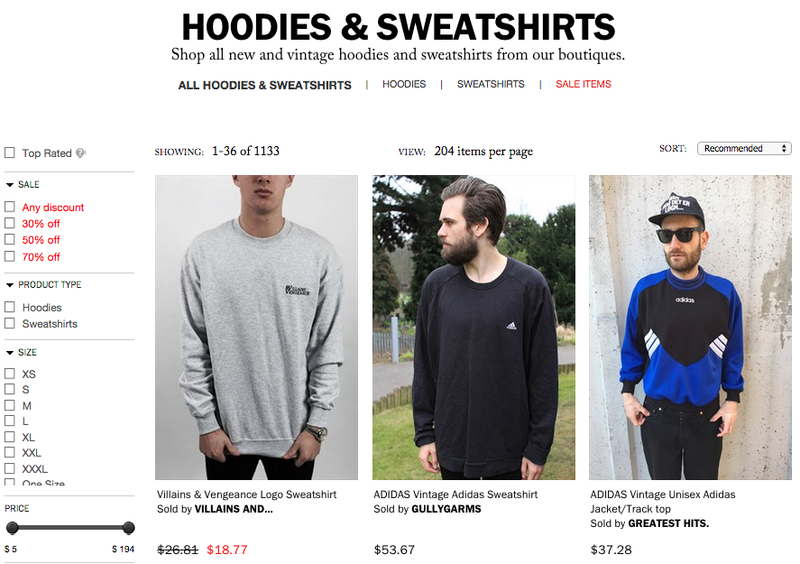 By 2012, it had become the most visited fashion website in the world, per day, for 18-34-year-olds. 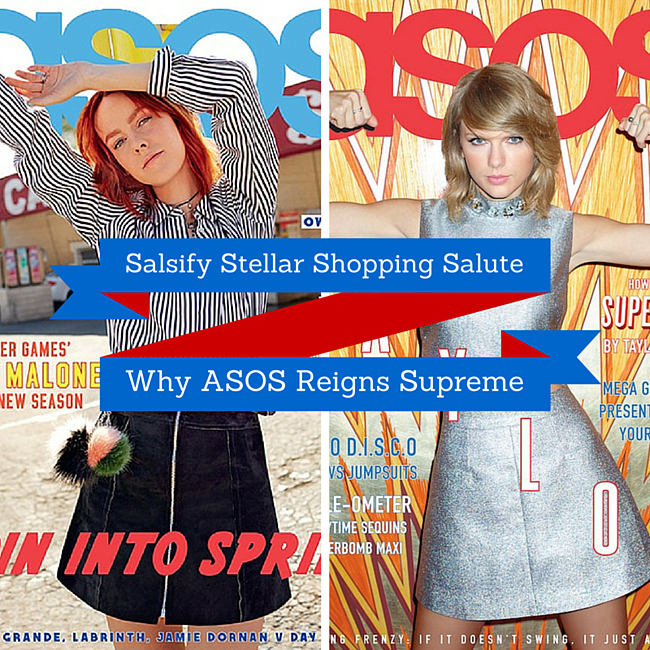 ASOS, you reign supreme, which is why you're the recipient of our stellar shopping salute. 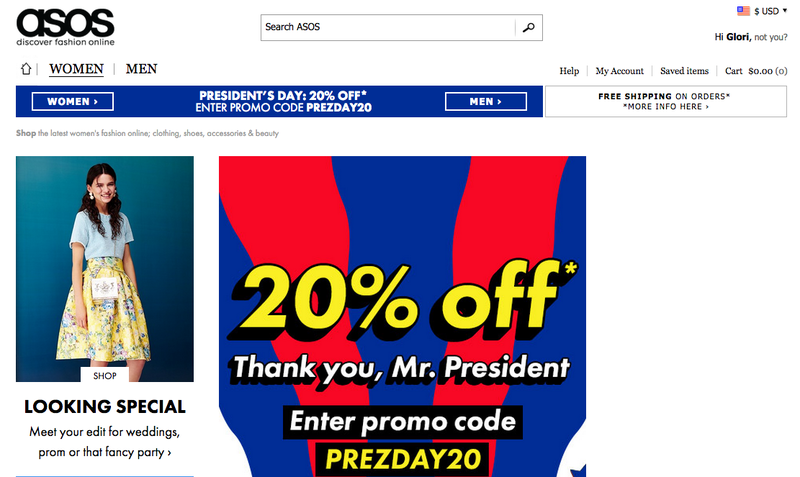 ASOS’s assortment is simply spectacular, and they offer a wide range of brands and price points which makes it the go-to site for both genders. From their own in-house brand to high-end designer items, ASOS has it all. Looking for a red sparkly longline strapless bra? ASOS has it. In need of a fancy new suit for a wedding? ASOS is there for you. Dying to get those new Nikes that are completely sold out, stateside? ASOS is your new best friend. Sometimes it seems as though every mainstream retailer is offering an identical assortment, but that's never the case at ASOS. For those who want the next level of unusual or hard to find items, ASOS has both a marketplace and an extensive vintage assortment. An eCommerce website with a giant assortment can be overwhelming without excellent search and navigation and ASOS delivers just that. Detailed product categories make it easy to find what you’re looking for without scrolling through hundreds of unnecessary items. 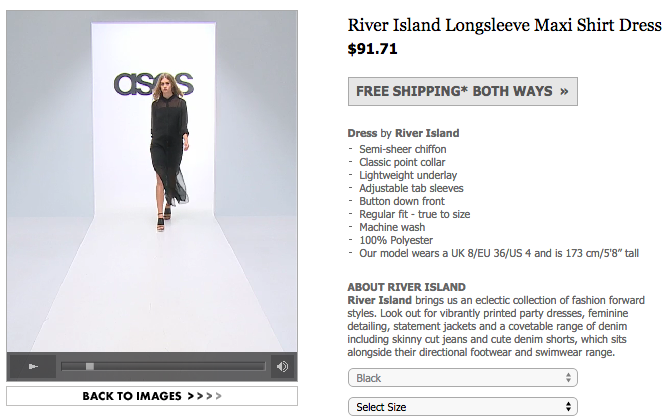 Shoppers can search by brand, color, size, price, item, size, or all of the above. ASOS also makes it a point to update their categories in accordance with the newest trends, so fashionistas can easily search for matching top and bottom sets, brightly colored faux fur, and any other "of the moment" styles. ASOS was one of the first eCommerce sites understand how crucial highly detailed product information is for consumers’ shopping experiences. Aside from the standard item information (material, style, fit, etc.) ASOS also includes the story of each brand on the product page, so consumers get a sense of the company behind the product. It also makes finding new designers and keeping track of old favorites easy. In addition to providing multiple images from a variety of angles, ASOS also allows shoppers to check out footage of their models wearing each item on the runway. Having the ability to see apparel on the body and in motion makes it infinitely easier to understand the product and get a sense of what it looks like in real life. Shoppers who are well informed about their product are also less likely to return it, a double win. ASOS is the king of sales. There are always tons of awesome discounted items in every category, often from brands that are rarely discounted anywhere else. Deal hunting heaven. There is nothing that shop blocks an ecommerce sale like expensive shipping. 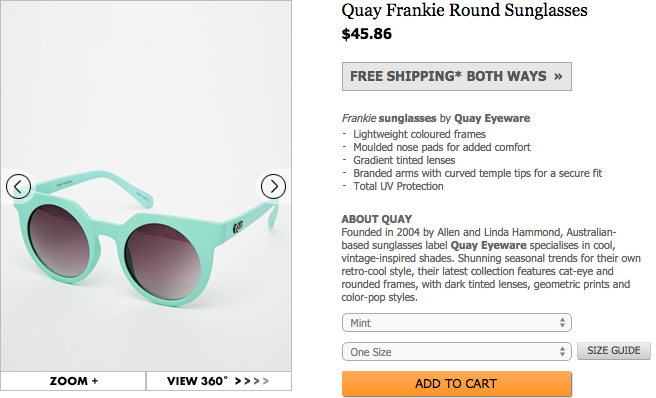 ASOS offers free worldwide shipping and free returns, which minimizes the risk of buying unfamiliar brands and styles. 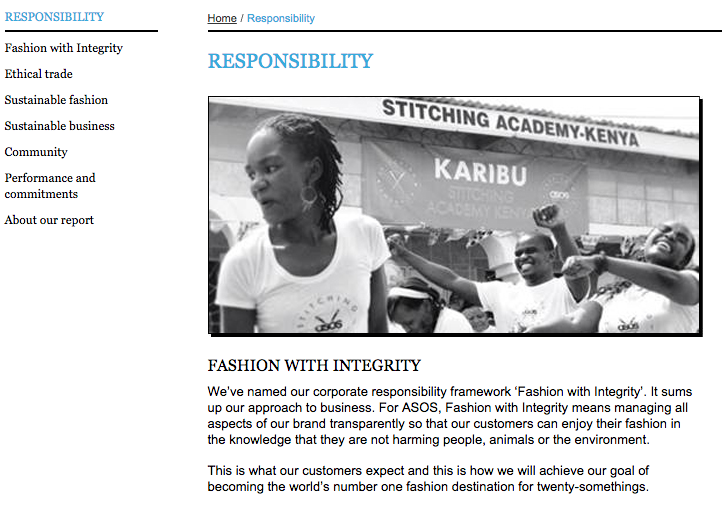 ASOS understands that modern consumers want to buy from retailers with honesty and integrity. They make it a point to "manage [their] brand transparently so that our customers can enjoy their fashion in the knowledge that they are not harming people, animals or the environment." That means a commitment to ethical trade, energy efficiency, social justice missions, positive body image, and sustainable fashion. Facilitating the perfect eCommerce shopping experience is difficult, but achievable. Brands and retailers alike can gain traction by using ASOS as a roadmap to success! Congratulations ASOS, you truly reign supreme.